A 21-year-old Indonesian man who used a custom-made fake police uniform and a realistic gun to pose as a police officer and get women to go out with him was recently arrested by real policemen. He still has a scheduled date, only this time it will be with a court judge. Ari Septian Pratama, a 21-year-old man from the South Sumatran city of Palembang, in Indonesia, reportedly pretended to be a cop for about a month, before his arrest by actual police officers. The young pretender confessed to adopting the alias “Dr. Julian Saputra”, and having a realistic police uniform custom tailored. To appear more believable, Pratama also wore a realistic toy gun and police badge, and even went around telling people that he was the son of Southeast Sulawesi’s regional police chief and that he was a doctor of police forensics. Apparently, he did it all to impress women and get them to go out with him. Believe it or not, his illegal pick-up tactics proved very effective, as he told investigators that he successfully convinced 10 women to go out with him, including civil servants, nurses, doctors, and, get this, even actual policewomen. He would rent expensive cars and tell the women that he wanted to marry them, in order to convince them to sleep with him. And it worked. “I promised many (of the women I dated) that I would propose marriage to them. Honestly, I didn’t get money from them, but I slept with most of them. Some are even already engaged,” Ari confessed. The fake cop denies using his fake identity for monetary gains, but at least two of his victims have alleged that he used his authority to extort money from them at ATMs. Ari was forced to explain his crimes in front of the media, at the South Sumatra Regional Police Headquarters in Palembang, and he said that it all started as a challenge on popular livestreaming platform Big Live. he claims someone dared him to do it and even offered to pay IDR5 million (US$345) to pay for the uniform and all the other props he needed to impersonate a policeman. 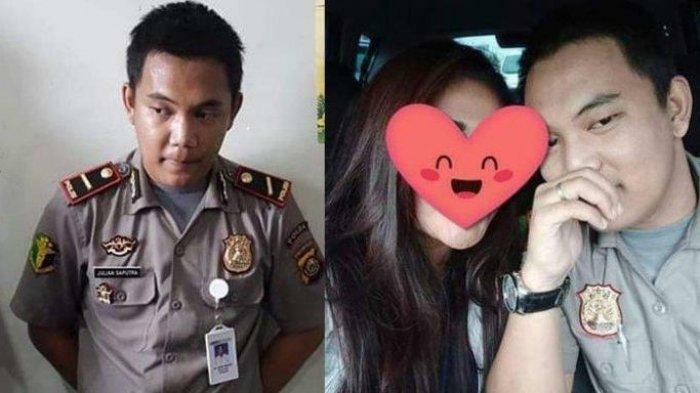 The 21-year-old was arrested on Monday at a hospital in Palembang, after one of the women he dated became suspicious and inquired with the real police to see if there was a Dr. Julian Saputra working there. After hearing the woman’s story, they immediately started looking for this fake forensics doctor and it didn’t take them long to reach Ari. At the time of his arrest, the young man was actually wearing his fake uniform. If found guilty of impersonating a police officer and extorting money out of unsuspecting victims, Ari Septian Pratama risks spending time behind bars.